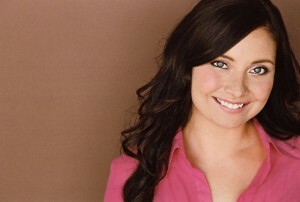 Melissa Dixon (`Til Dawn Graduate, 1999) lives in Santa Monica, California, where she is an actress. Melissa Graduated from University of California Santa Barbara with honors and received her BFA with an emphasis on acting. During her time at UCSB, Melissa was one of the few seniors honored to write, direct, produce and star in her own show. She was also asked to do a special reading of one of Academy Award winner Tony Kushner’s original plays, alongside Jeff Bridges and Tony Kushner himself. Melissa highlights this as one of her favorite experiences to date. Melissa continues to extend her constant involvement in notable acting classes throughout Los Angeles while working in Independent films as well as multiple successful theatrical productions and has been featured on TV shows such as CSI: Miami, Bones, and ER. `Til Dawn was one of my most rewarding and exciting experiences I have had. I remember loving to sing and perform and hearing about this amazing a cappella group called `Til Dawn. I wanted to audition but felt nervous to do so. But I took the chance because I knew I would regret not doing it. The audition was not only painless but so much fun, and when I became a member it was one of the best days of my life, I was so proud. `Til Dawn not only enriched my life, but I was able to work with some amazingly talented and kind people to enrich others lives as well. `Til Dawn helped shape the artist I am today and taught me to truly respect the art in all I do and open my eyes to all I can do for others through art.